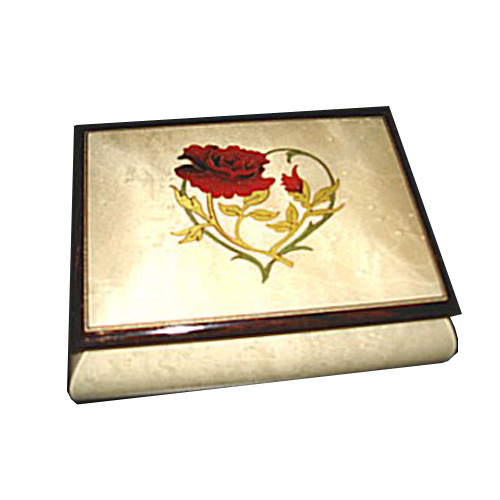 A single inlaid Red Rose and Leafy Green Heart adorn the lid of this glossy white musical jewelry box. It measures 4" x 5 1/2" and stands 2 3/4" high on little brass feet. It features a ring bar, beige sued-like lining and a window to view the mechanism which plays when the lid is lifted. You may select your favorite tune fron our 18 note Tune List.